Although Pork Chop rice (豬排飯) is one of the well-known food in Taiwan, Chicken Thigh Rice (鸡腿饭) was equally well-known. 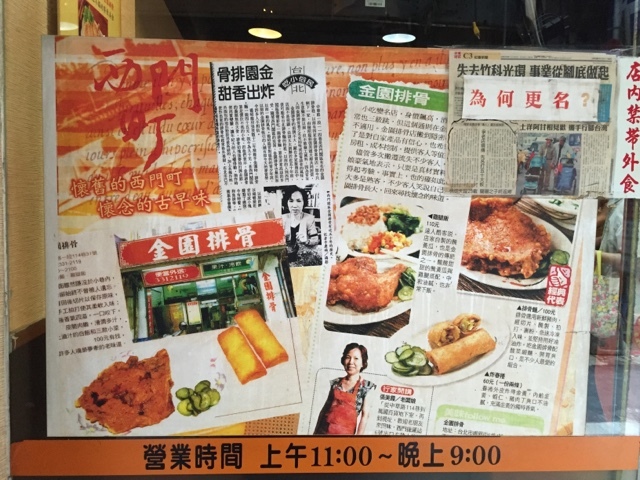 At Ximending (西門町), there are so many of these restaurants that you are unsure which is the best. 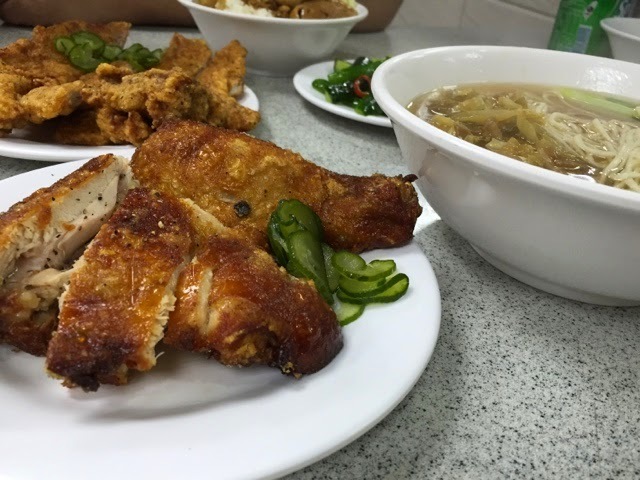 As we started exploring for the best Chicken Thigh rice, we narrowed down to three restaurants - Jin Xuan Pai Gu (金轩排骨), Kingwueng Pork (金圓排骨), and Jin Man Yuan Pai Gu (金满园排骨). 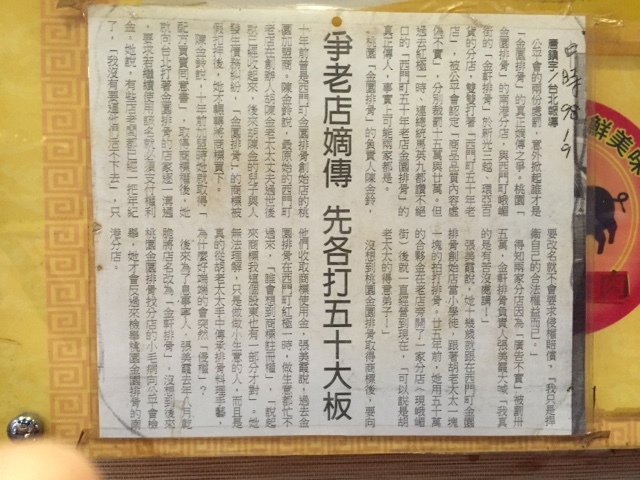 In 1998, there was a dispute between the main branch "金圓排骨" and Jin Xuan Pork (金轩排骨) over the use of the brand name "金圓排骨 ". The dispute led Jin Xuan Pork to change to its current name. I have also attached the article below. Below is the comparison table of the three popular brands in Ximending. Kingwueng’s chicken thigh was served piping hot and very crisp and nearly greaseless. The chicken thigh arrived cold. The chicken thigh was served piping hot and very crisp But they could drain the oil before serving. A crisp, well-seasoned, not-too-oily coating chicken. The crust was flavoursome and thin. The thick breading was disappointing. It was flaccid and weak. The spices used on the marinade were not discernible, except in a sprinkling of black pepper. A crisp and well-seasoned chicken. The crust was thin, yet flavoursome. The flesh was juicy and tasted fresh. The succulent flesh eaten with the crust tasted awesomely fantastic! The flesh was reasonably juicy and tasted fine, although the breading was weak. The braised minced meat was fragrant with nice light aroma. Eaten with rice was heavenly. The braised minced meat atop the steamed rice was insipid. You can forget about going to this restaurant. If No. 1 is closed for the day, try this one. It tasted very similar to Kingwueng Pork. awesome review! will try some of these delicious rice dishes when i'm in taipei. thxs!